Friday nights are family nights in our house. 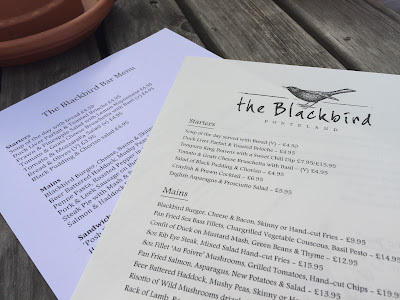 Last Friday we were blessed with a warm and sunny day so decided to head off to The Blackbird in Ponteland after hearing that their Head Chef Ian Lowrey had launched a new menu. We booked a table for 5pm but as it was still warm decided to take a seat in the beer garden instead. 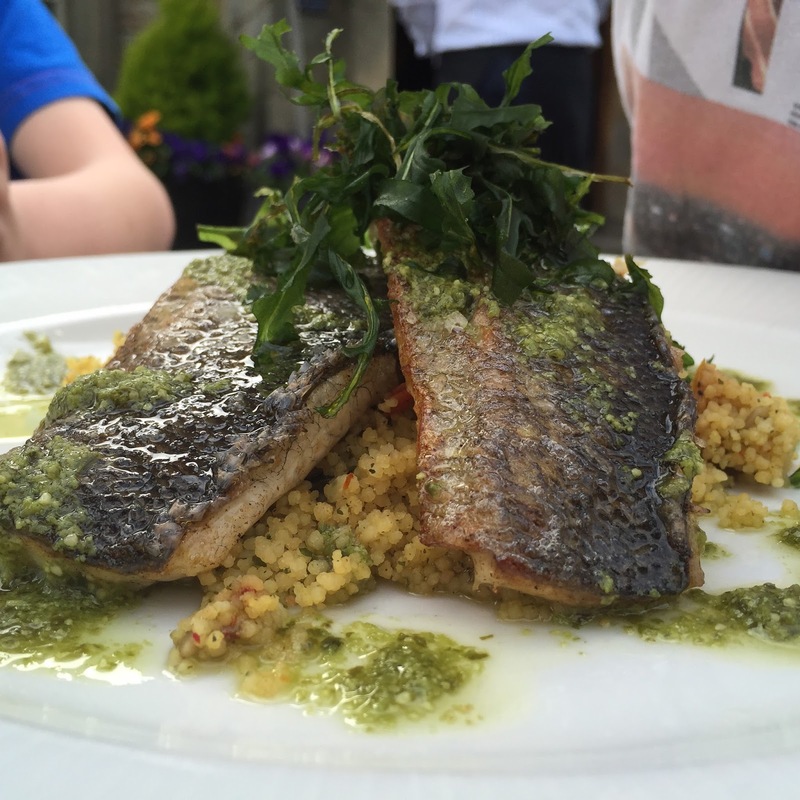 We were handed a selection of menus to choose from - a bar menu, restaurant menu and children's menu. 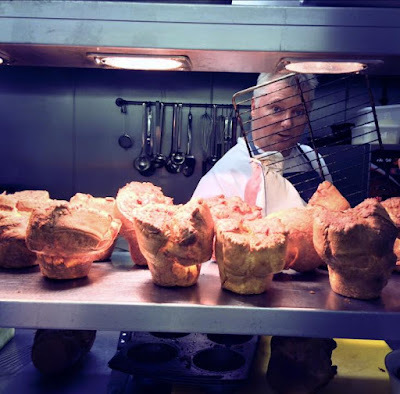 There was a lot of choice to take our pick from with food ranging from rib eye steak to asparagus salad, risottos, homemade pies and fish and chips. 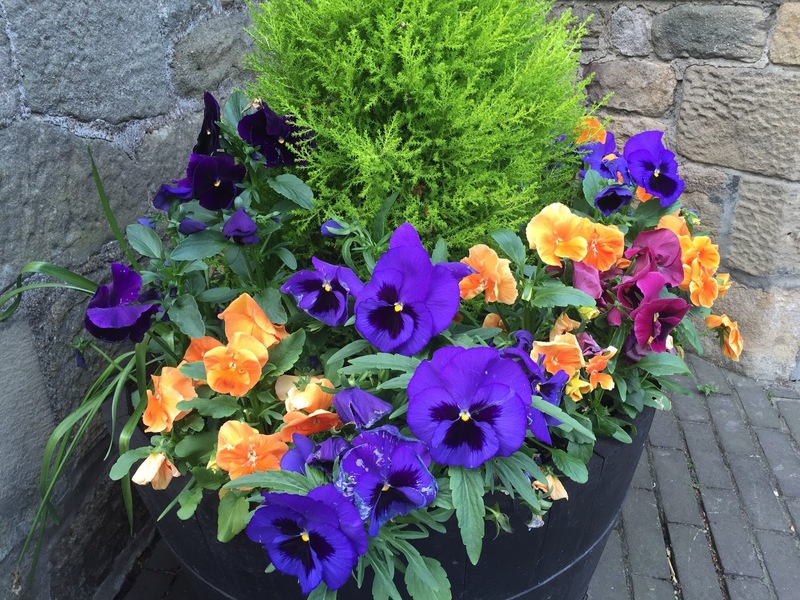 The outdoor space is a little noisy as it looks out onto a main road however the area is made as comfortable as possible with lots of beautiful flowers and comfortable outdoor seating. There was a good mix of families, friends, locals and dog owners sitting outside and getting to know each other meaning the atmosphere was lovely and relaxed. 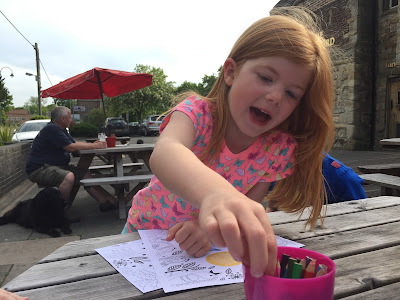 I enjoyed a glass of Sauvignon Blanc as the children were handed colouring sheets which they could complete and hand in for their chance to win a voucher for a free family meal (fingers crossed!). 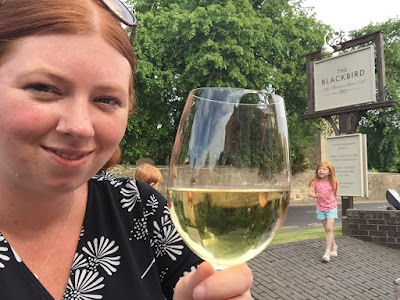 This is exactly what I love about Summer evenings - nothing beats relaxing in the last of the days sunshine with a glass of wine with happy kids and a happy hubby. Both myself and my husband ordered from the main menu. I went for the confit duck with mustard mash, green beans and thyme (£12.95). 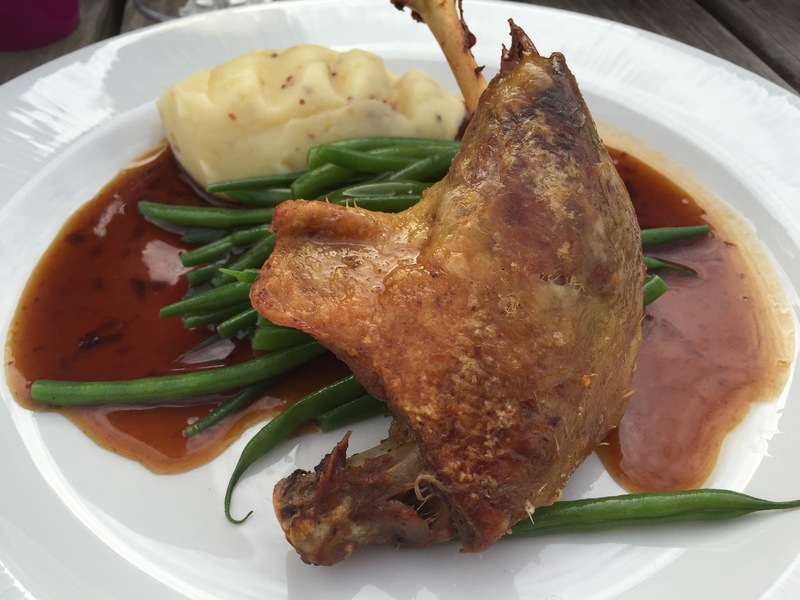 I'm pleased to say I chose well - the duck fell away from the bone yet still had wonderfully crisp skin and the green beans had the perfect amount of crunch. Hubby went for the Seabass fillets with cous-cous and basil pesto (£14.95) which was also a lovely dish for a warm Summer's evening. 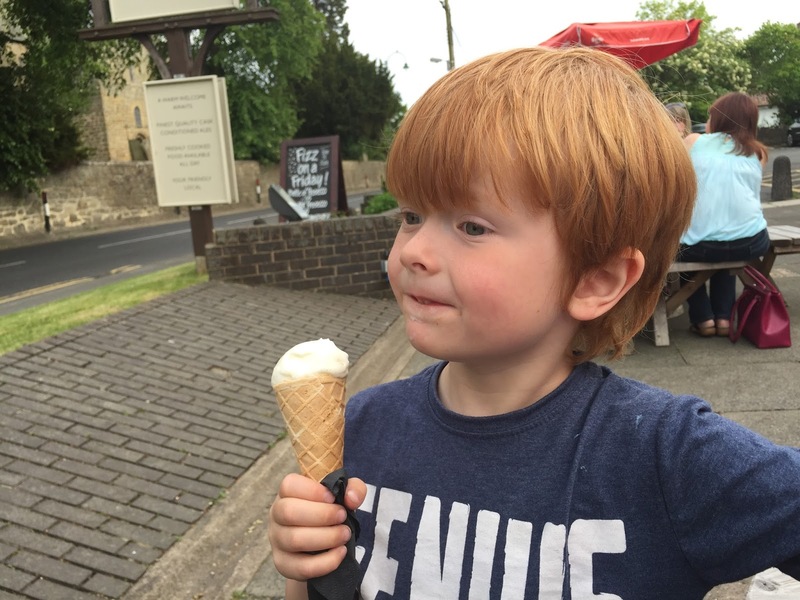 The children's menu is priced at £5.95 for a main course and ice cream. 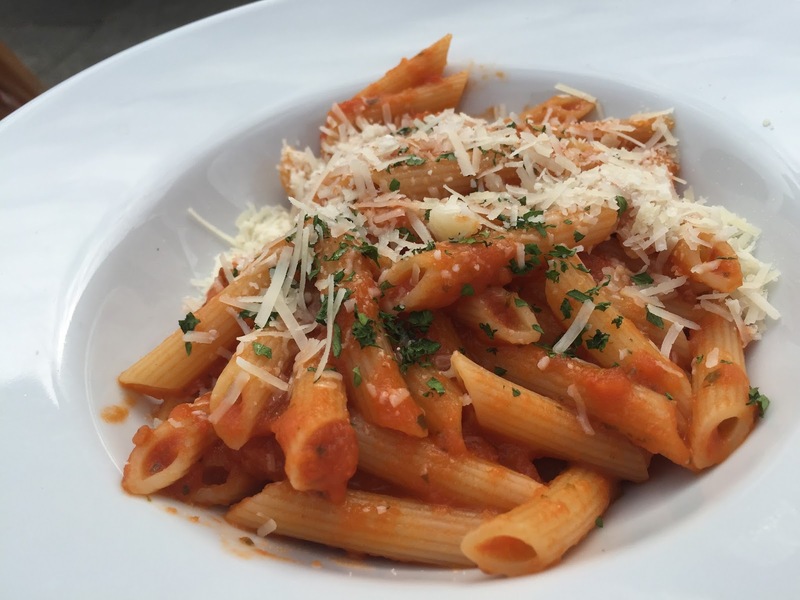 Their food was superb value with large portions of homemade food being served. There wasn't a clean plate in the house! Nice to see homemade chips on a children's menu rather than the frozen variety too. 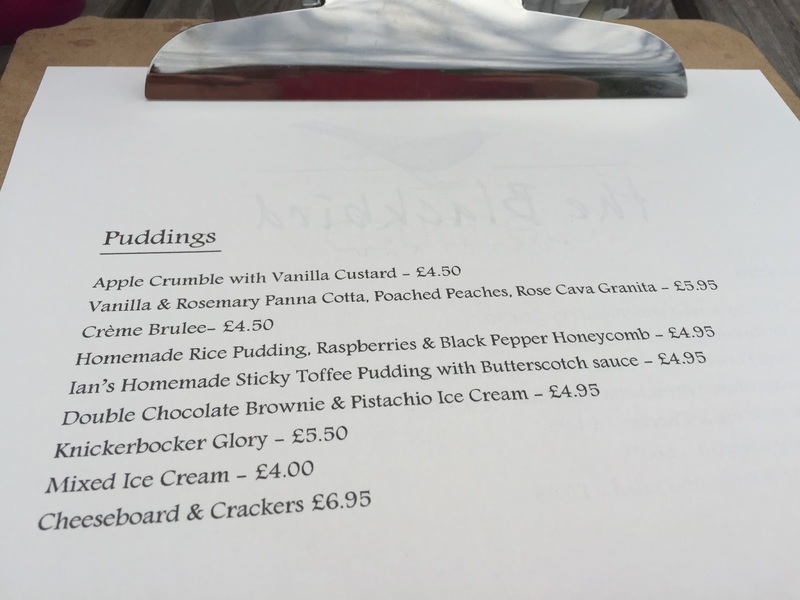 As our children had an ice cream included in their meal deal and the weather was so lovely, both myself and Steve decided to order a pudding too. The puddings at The Blackbird really are something special. 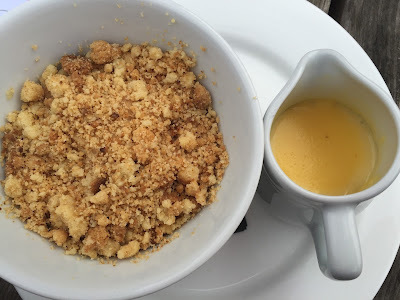 I went for the Apple Crumble with Vanilla Custard (£4.50) and Steve ordered the Vanilla and Rosemary Panna Cotta, Poached Peaches and Rose Cava Granita which at only £3.95 was an absolute BARGAIN. 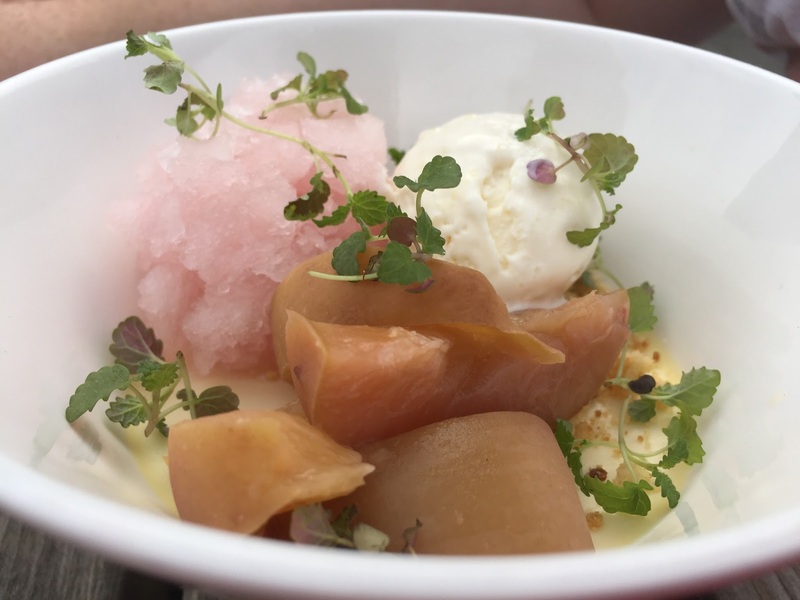 Both desserts were beautifully presented and packed with flavour - if you visit, you simply must leave room for one. 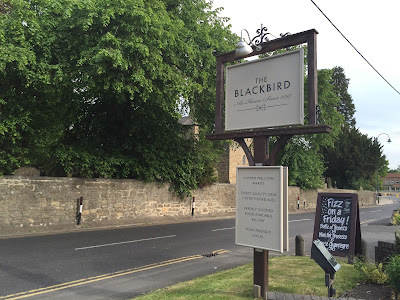 The service we received at The Blackbird was exemplary. Sometimes when you sit outside you can feel a little forgotten about but this was absolutely not the case here. 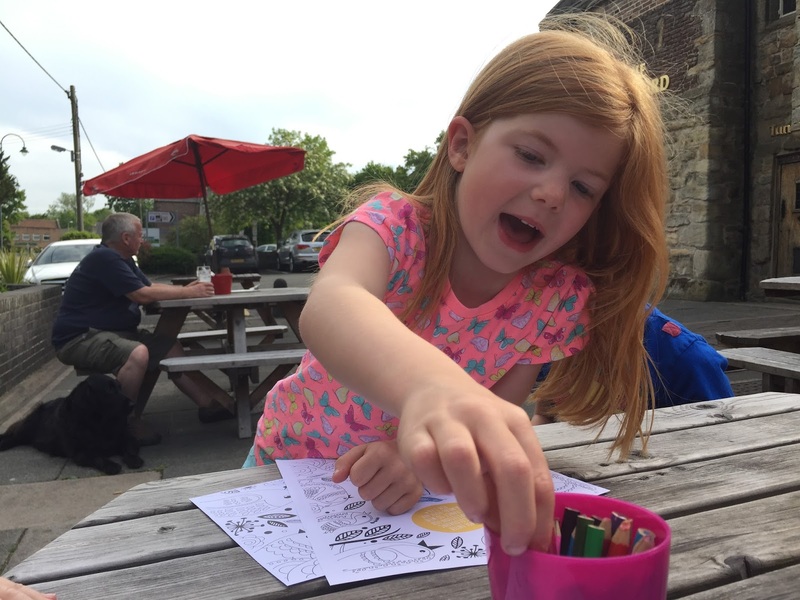 The staff were wonderful with our children - little things like bringing out a fresh glass of juice when Heidi spilt hers and taking the time to make our three little ones giggle really makes the difference so a huge thank you! 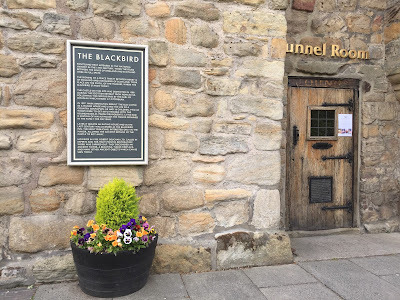 Pubs are usually a lot more laid back than restaurants and The Blackbird is a gem - offering home cooked and delicious food, a good selection of ales, wines and beers and a warm, welcoming environment, it is certainly a pub we will recommend and visit again. 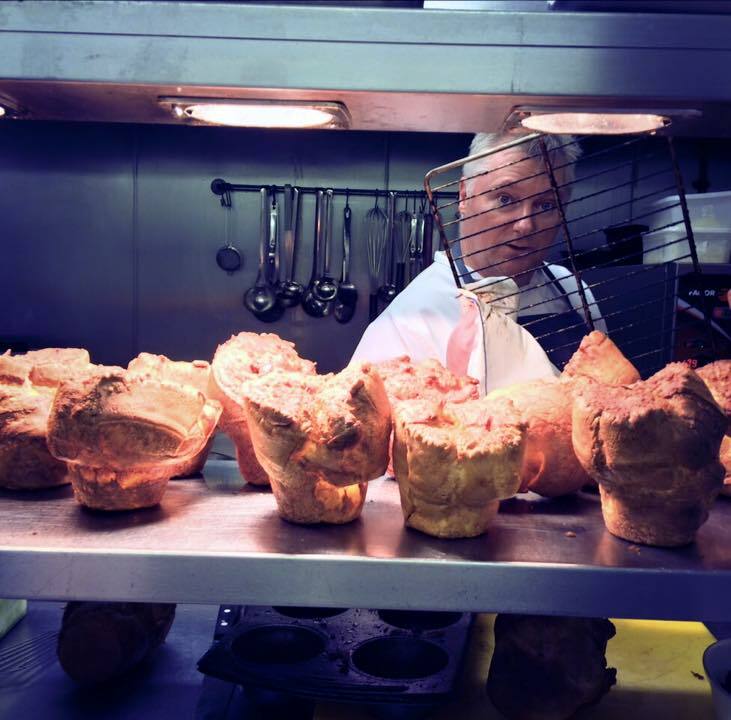 Unfortunately I work Sunday's so won't get the chance to try one of Ian's giant yorkshires so please let me know if you do. This looks like the perfect family evening. 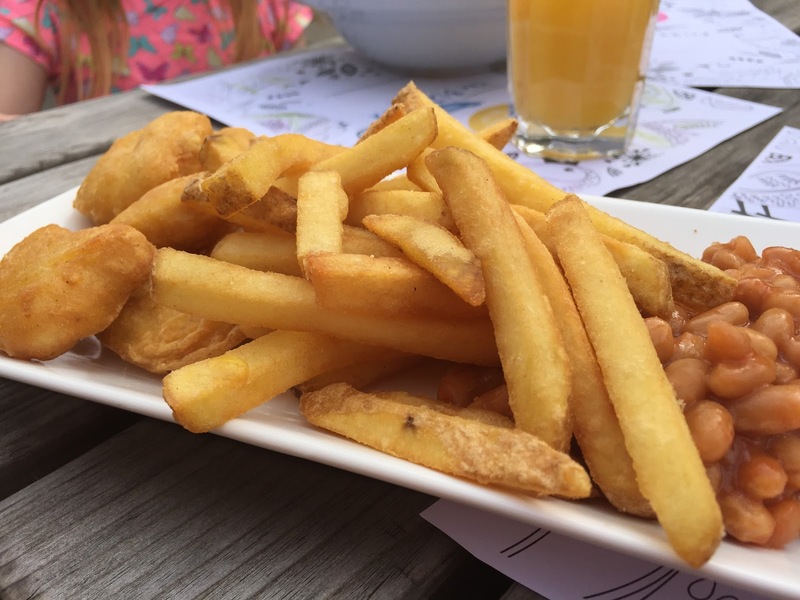 I love pub suppers when you can eat outside. 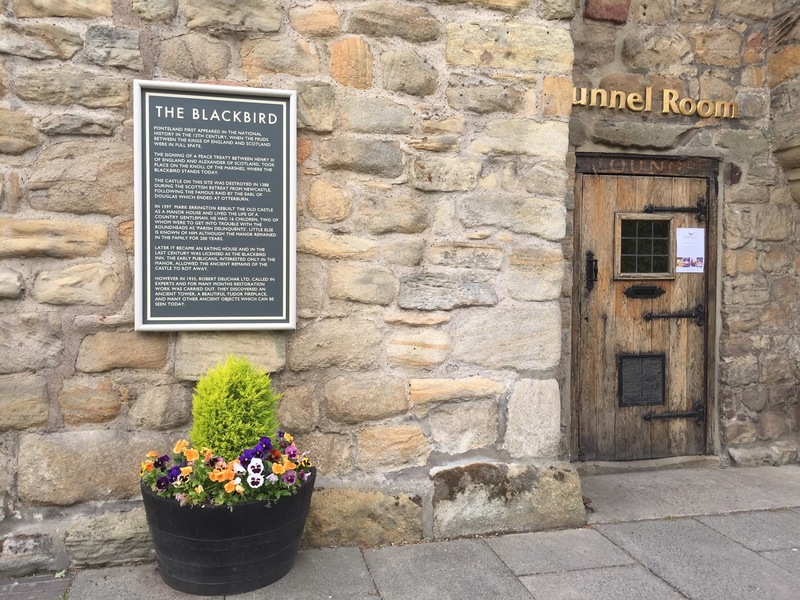 Another place for me to add to my list for when the kids are a bit older. 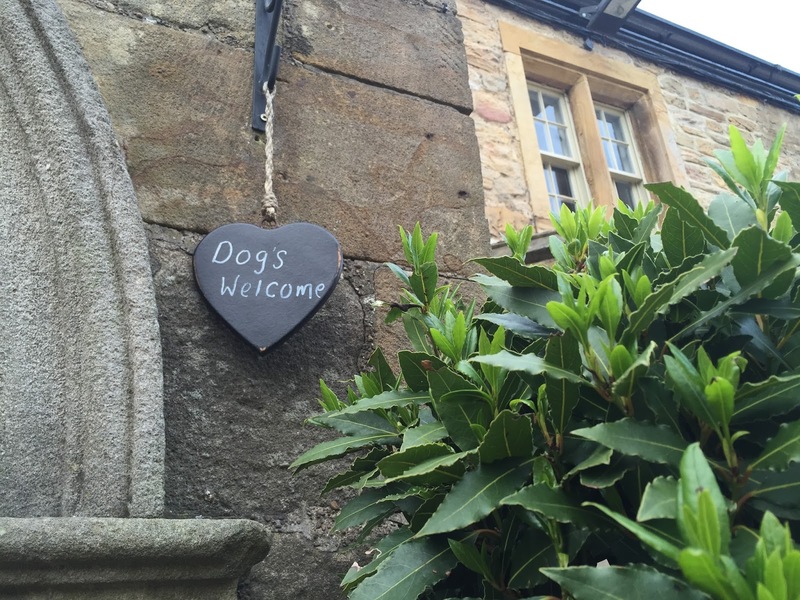 Looks as if you had a lovely time. My mouth is watering - I pretty much want to visit for the black pepper honeycomb on the menu alone. What a lovely spot for a family meal.